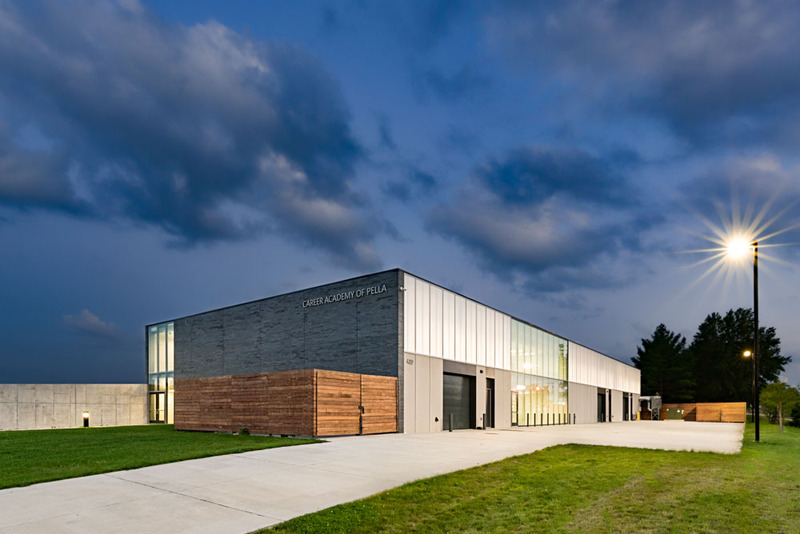 The 23,000 sqft facility includes the following space types in support of these programs: a few AV enabled classrooms, a wood shop, a metals shop, garages for agricultural and industrial technology, and a compressed air system. 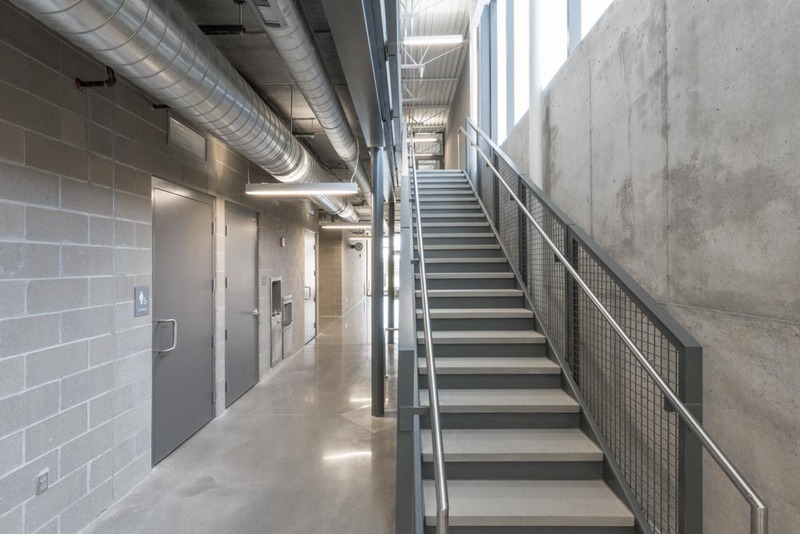 Neumann Monson was awarded an AIA Iowa Excellence in Design Award in 2015 for this facility. Generally, heating and cooling is accomplished via an air cooled VRF system with electric in-duct heating for support. 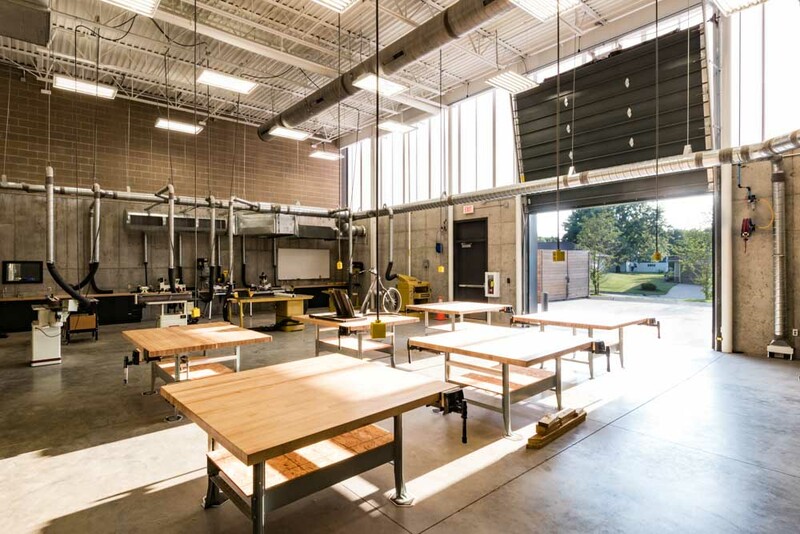 Shop spaces include specialty: welding exhaust (relocated), dust collection systems and a paint booth (relocated). Outdoor Air is provided via single ERV and Make Up Air from appropriate areas. Infrared heating was included in areas where garage doors may be left open for extended times. The garage spaces include trench drain systems and interceptors. 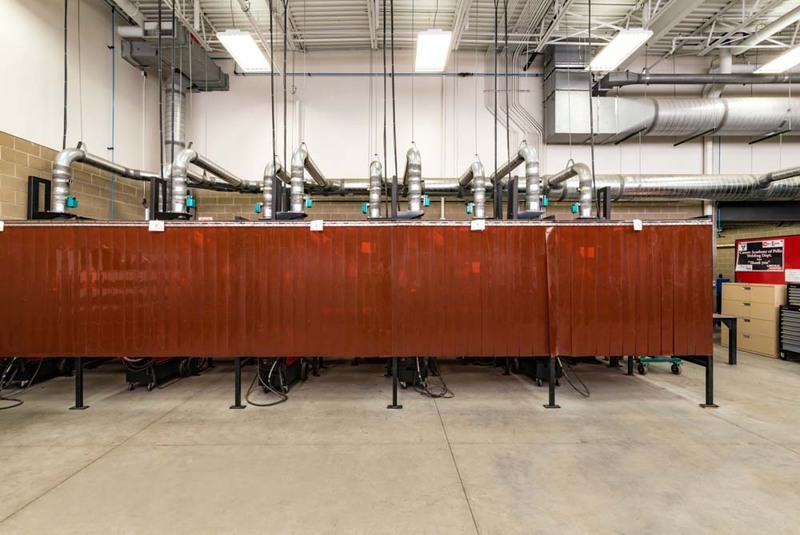 The facility power system supports substantial quantities of manufacturing and welding equipment. Additionally, work spaces are served via cord reels, cord drops and work space outlets. 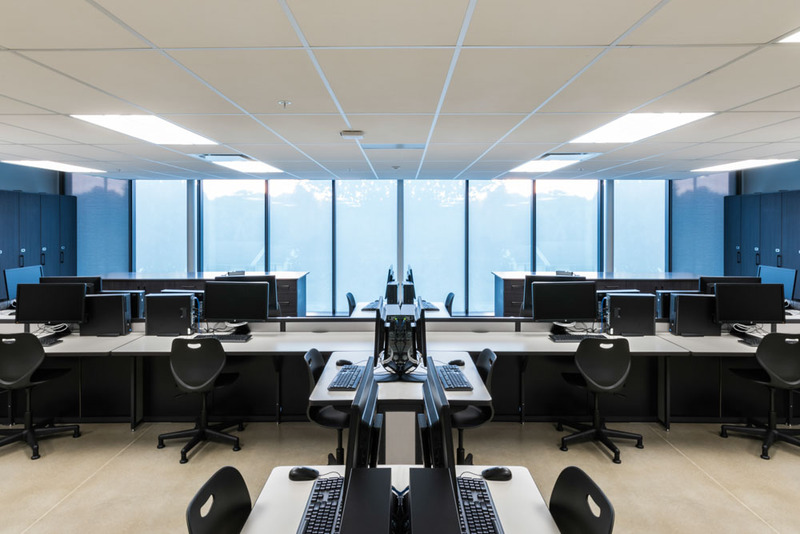 The classrooms include local AV functionality and advanced lighting controls, including motorized skylight shades. 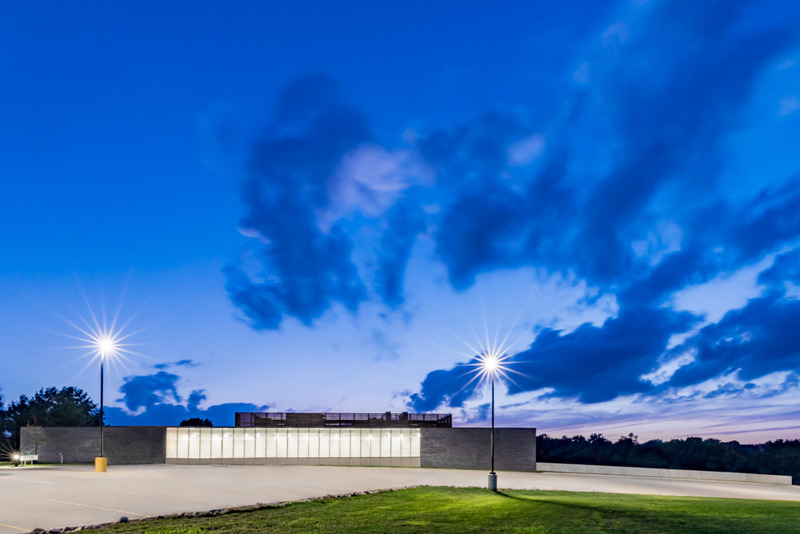 Exterior lighting and select interior fixtures are LED, while some lighting remained fluorescent to make the project feasible. Site fiber was routed to provide service to the building. Classroom AV solution includes classroom amplification and a small AV switcher to a short-throw projector.